Maverick is located in the middle of Wellingtons CBD and is the vehicle of top city hairdresser Jason Muir. Maverick shares a space in exciting Wellington salon, Sadal & Co – The Terrace. 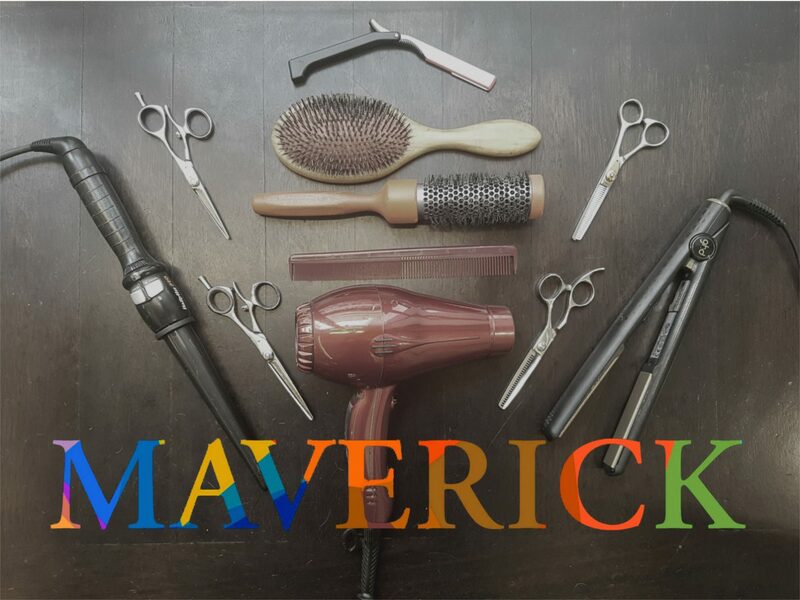 Maverick is a place for anyone to visit and enjoy the hair service that 20+ years experience can give, with skills that range across the board. Anything from edgey haircuts, exceptional colour work and even to traditional barbering. A local protaganist of street theatre and public art, Jasons always up for a great conversation while enjoying the comforts of the salon… in fact sometimes you have to tell him to shut up! Feel free to read through our blog entries, shares & comments too!